Poet, Prose writer. 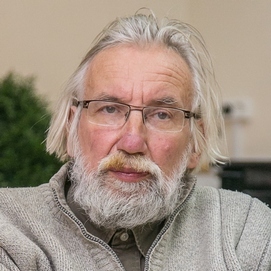 Nikolay Baytov was born in 1951. Graduated from Moscow Institute of Electronic Engineering During late Eighties he has been editing and publishing samizdat magazine «Epsilon-salon» (together with Aleksandr Barash). One of the founders (together with Svetlana Litvak) of Moscow Literary Performance Club. Publications in “Znamya,” “Chernovik,” “Postscriptum,” “Context-9.” Author of four poetry books: Equilibrium of Difficulties (1990), Not to be unfounded (1997), “Seasons” (2001), As of (2007). He has been shortlisted for the Andrey Bely prize (1999).